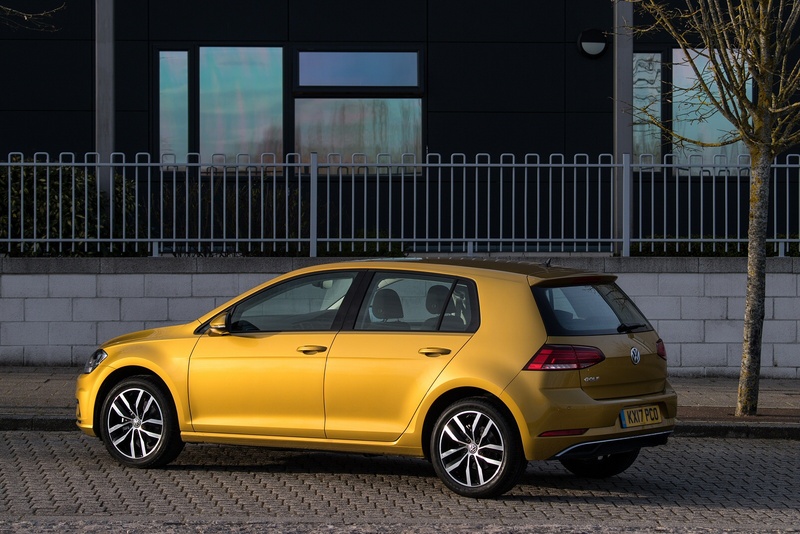 The improved 7th Generation Volkswagen Golf might just be at its best when fitted with the 150PS petrol engine with ACM cylinder cut technology. You get the best of both worlds here; sprightly performance and handling with diesel-like economy and emissions. Progress rarely comes in great leaps and bounds in the car industry. Instead we tend to see incremental steps forward - or at least sometimes we do. 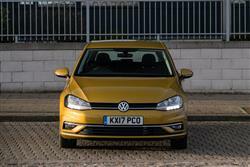 Let's pause to consider the petrol-powered Golf 1.5 TSI EVO model we're looking in this case. Up to 56.5mpg combined cycle consumption; up to 114g/km of CO2. And better performance than you would have got from a MK4 model Golf GTI hot hatch. You want progress? You're looking at it right here. 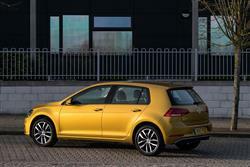 The 1.5 TSI Evo engine is the one really new powerplant in this revised Golf line-up and since this unit is going to feature in a wide range of future Volkswagen models, the Wolfsburg engineers have devoted a great deal of thinking time into getting it right. It carries forward the 'ACM' 'Active Cylinder Management' technology used in the previous 1.4-litre TSI unit which allows the car to run on only two of its four cylinders under light throttle loads. What's different with the 1.5 TSI Evo powerplant is a general reduction in internal operating friction. And the fact that in its 130PS guise, the whole engine can completely shut down when you come off the throttle. Hence Volkswagen's decision to use 1.5 TSI Evo 130PS power for its full-'BlueMotion' model, rather than the previous 1.6-litre TDI diesel unit. 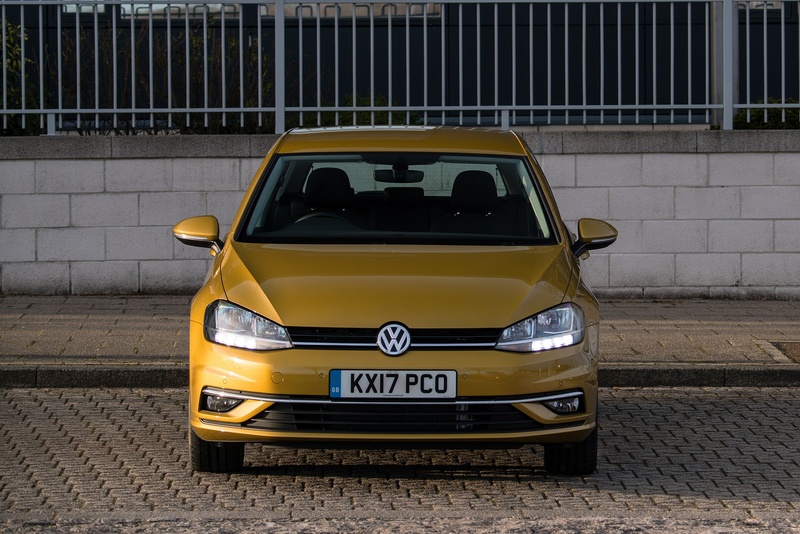 If you're not quite so concerned about frugality, the 1.5-litre TSI unit also comes in 150PS form, where it can give his Golf a very decent turn of speed, 62mph from rest achievable in 8.3s en route to 134mph. It doesn't thrive on high revs, but it's nicely devoid of turbo lag and the steering is accurate if not exactly full of life. Moreover, the front end of this car is brilliant and you'll really get something out of driving it in a spirited fashion. It's a Golf. You don't need us to tell you that. Choose three or five-door hatch - or an estate: either way, this is one of those cars that almost everyone recognises. What's less likely is that your friends and neighbours will pick up on the fact that you've bought into the revised version of this seventh generation model. The changes that distinguish this improved design are, after all, extremely subtle - intentionally so, to preserve the residual values of the previous version. The design of this car has been painstakingly evolved over more than forty years and Volkswagen has no intention of dramatically changing it now. If you're familiar with the original version of this MK7 model, you won't find the interior to be very different - which is a very good thing indeed because that design set fresh ergonomic standards in this segment that many rivals are still struggling to match. To further underline this model's superiority in this regard, Volkswagen has added new trim panels in the centre console and the doors and smartened the upholstery, but what you're more likely to notice is this bigger 8-inch centre-dash infotainment screen. 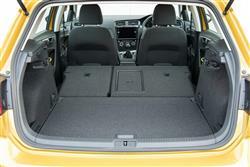 As for the practicalities, well as usual in a Golf, there's decent rear seat space and a 380-litre boot. 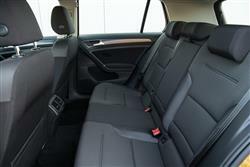 With the estate, that figure rises to 605-litres. This advanced engine is available in 130PS BlueMotion specification on the Golf 'SE' and 'SE Navigation' variants in both hatchback and Estate forms. The pokier 150PS EVO engine is available in the 'GT' and 'R-Line' hatchback trims, and in the GT Estate, with prices starting at around £23,500. 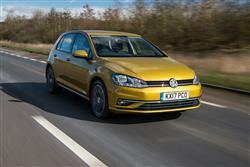 With both powerplants, there's a choice of 6-speed manual or 7-speed DSG auto transmission. As for equipment, well a sophisticated 'Composition Media' infotainment system with an 8-inch touchscreen comes as standard and there's the option of a 'Discover Pro' monitor that offers both touch and voice-command operation, with gesture control in addition to proximity sensors. Your dealer will also want to tell you about the clever 'Media Control' app that can be used if your Golf's infotainment set-up incorporates a wi-fi hotspot. Passengers simply connect in their 'phones or tablets via the app, then the entertainment system can be operated from anywhere in the car. As you'd expect, there's full 'Apple CarPlay' and 'Android Auto' compatibility so you can link in your smartphone and use your favourite apps in-car. And we like the new 'Security & Service' package that can automatically alert the emergency services in the event of a breakdown or an accident, book servicing and even advise you if the car is driven beyond a certain area, should you lend it out. 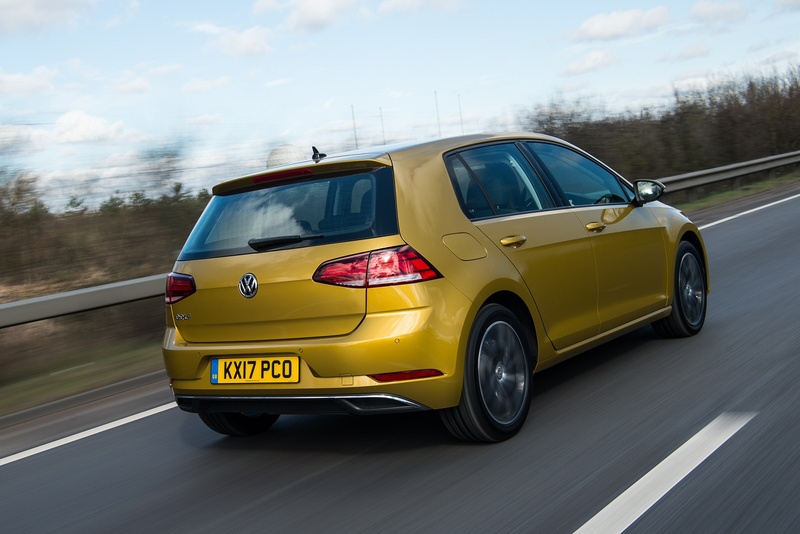 When this seventh generation Golf was originally launched, its efficiency figures took a big step forward, thanks to the lighter MQB chassis. Those returns still look pretty good today, especially in the case of this 1.5 TSI EVO model. As we said earlier, two 1.5 TSI EVO variants are available; a 150PS version capable of 55.4mpg on the combined cycle and 116g/km of CO2 (or 56.5mpg and 114g/km if you go for the DSG automatic). And a 130PS 'BlueMotion' model which can return up to 61.4mpg on the combined cycle and as much as 104g/km of CO2, thanks to an 'extended coasting' function that completely shuts down the TSI engine when you take your foot off the throttle. As for servicing, well as usual with Volkswagen models, there's a choice of either 'Fixed' or 'Flexible' maintenance packages. You'll choose the 'Fixed' approach if you cover less than 10,000 miles a year and with this, the car will typically be looked at every twelve months. 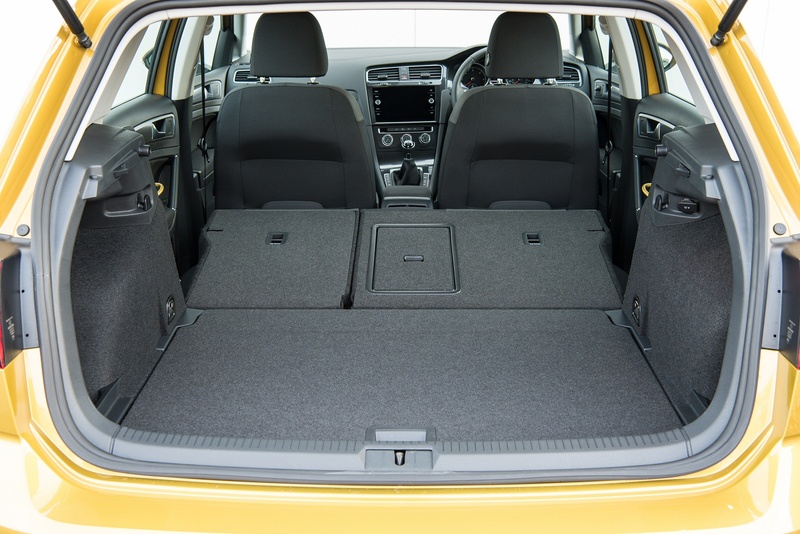 If your daily commute is more than 25 miles and your Golf will regularly be driven on longer distance journeys, you'll be able to work with a 'Flexible' regime that can see you travelling up to 18,000 miles between garage visits - or every two years, whichever is sooner. If you�re looking for a new Volkswagen Golf 1.5 TSI EVO Match 5dr Petrol Hatchback for sale, you�ve come to the right place. 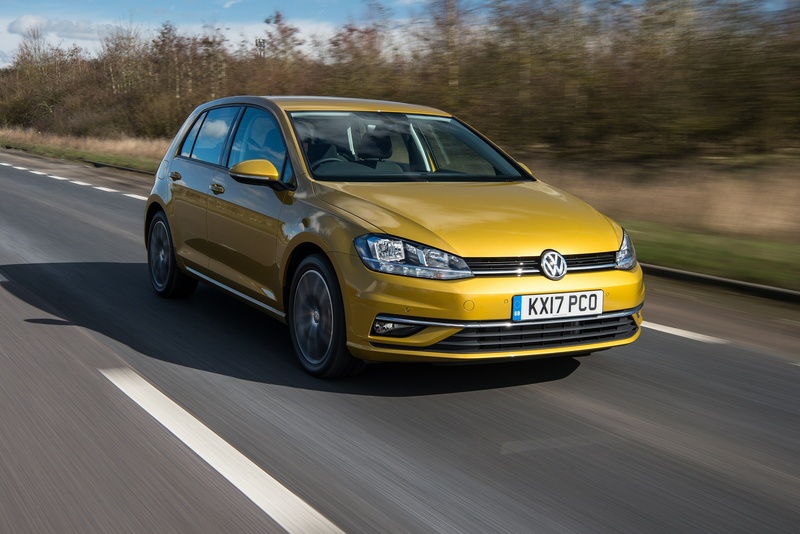 At Bristol Street Motors we don�t just have the best Volkswagen Golf 1.5 TSI EVO Match 5dr Petrol Hatchback deals, we also offer friendly advice and help with all your enquiries to ensure your buying experience is a happy experience.